I Pinterest-failed. Hard. Some of it had to do with the fact that I failed to actually read any instructions on the Pinterest activity I was about to try out. And some of it was a silly substitution I made. Silly, silly me. You've probably seen pudding painting around the interwebs for a while. Basically, you dye vanilla pudding in different colours using food colouring, and then let your baby fingerpaint with it. 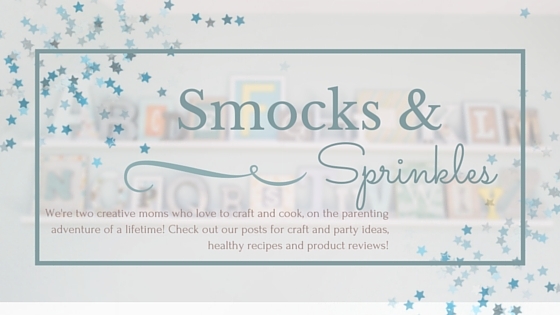 It's non-toxic because it's edible, and stimulates your baby's sense of touch, smell, and sight. Oh, haha, and taste, because they're all about putting things into their mouths, am I right? It sounds easy, right? I had visions of super-cute fingerpainting in my head, and maybe an adorable handprint or two. Instead, I ended up with a pudding-covered baby and torn paper pieces floating in pudding. 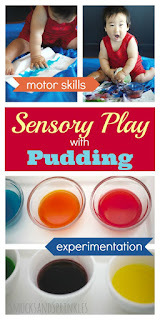 But who cares, really, because you call it sensory play instead of painting, and it's a Pinterest success! I also consulted my sister, who actually owns a piece of beautiful pudding artwork now, and she gave me some tips for actual Pinterest success which I've incorporated below. Tip! Use ready-made vanilla pudding in the small snack-size containers and dye each cup a different colour. Prepare vanilla pudding according to package directions, but reduce the amount of liquid slightly for a thicker pudding. I recommend adding the liquid a little at a time until your desired consistency is reached. I just followed the package instructions and my pudding ended up being too runny. I also substituted water for the milk, so I had a more transparent "paint". Divide your vanilla pudding into bowls. 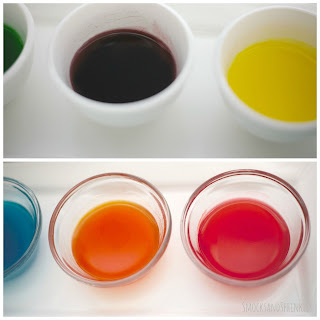 Put in a few drops of your desired food colouring into each. Follow the instructions on the package for secondary colours. 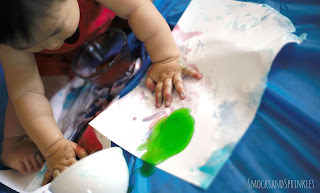 You can see the photo below for how I mixed my colours. 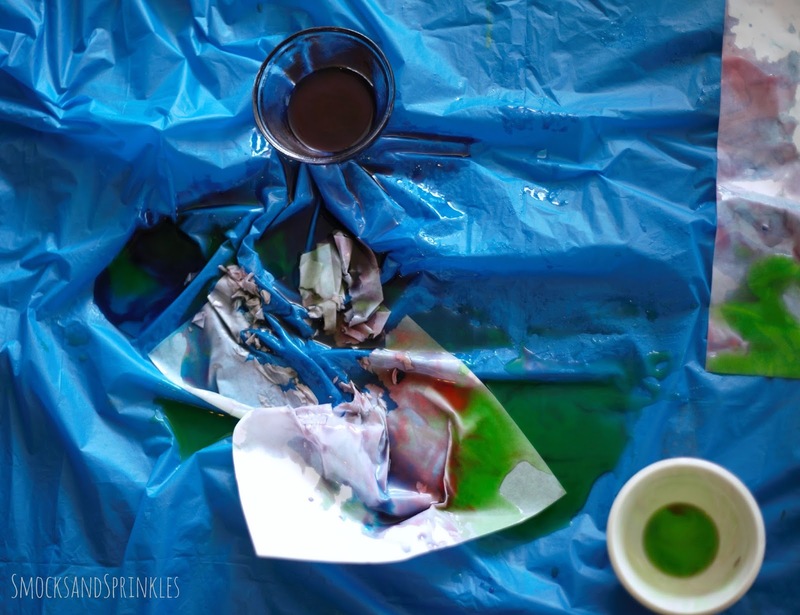 Lay a tablecloth or some scrap paper on your work surface, if you want to contain the mess a bit. 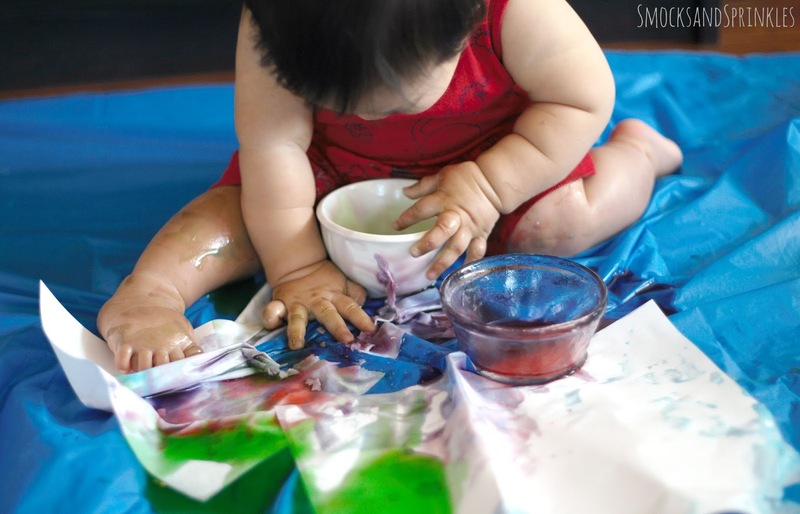 Put a bit of pudding into the centre of a piece of paper and let your baby go wild! My little guy (8 months) leaped for the bowls of pudding the instant I put him down on the tablecloth. I thought he'd "paint" with the pudding on the paper for a bit, but it went downhill fast, and he ended up with pudding all over his clothes. 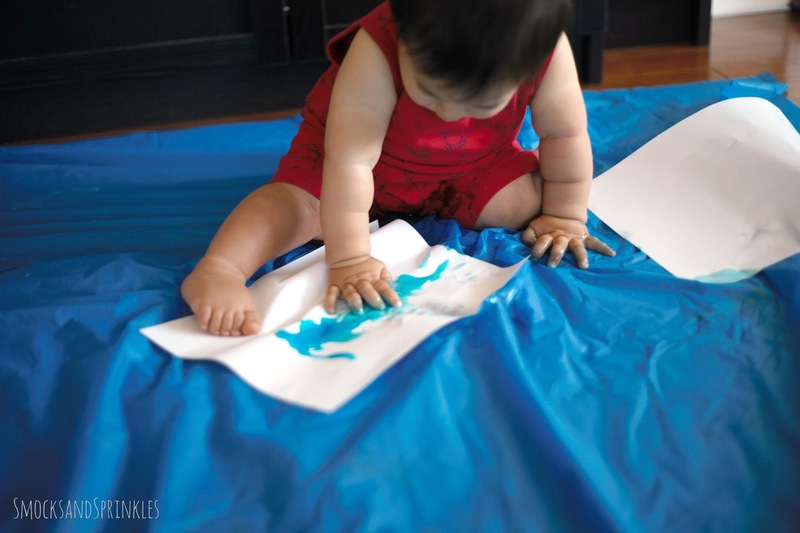 He really enjoyed spilling and smearing it everywhere, and we could have done without the paper. There was a delightful vanilla smell to him after and he ended up playing with it for a while. Tip! Try this activity in the tub, right before bathtime for easy cleanup! Tip! You can also try dyeing the pudding with jello powder, for a different smell and slightly grainy texture. After he decided he was done, I just scooped him up, stripped him at the sink and rinsed his pudding-covered appendages. I used a damp rag to wipe down the tablecloth, and voila, it's like pudding painting never happened! Oh, wait, that's because it didn't. But pudding playing did, and it was lots of fun! The aftermath! But cleanup was done in less than 5 minutes! I might try this activity outside next time, so I can just hose the kids off after. I'm a little bit concerned about bugs, though? Have you ever tried this? 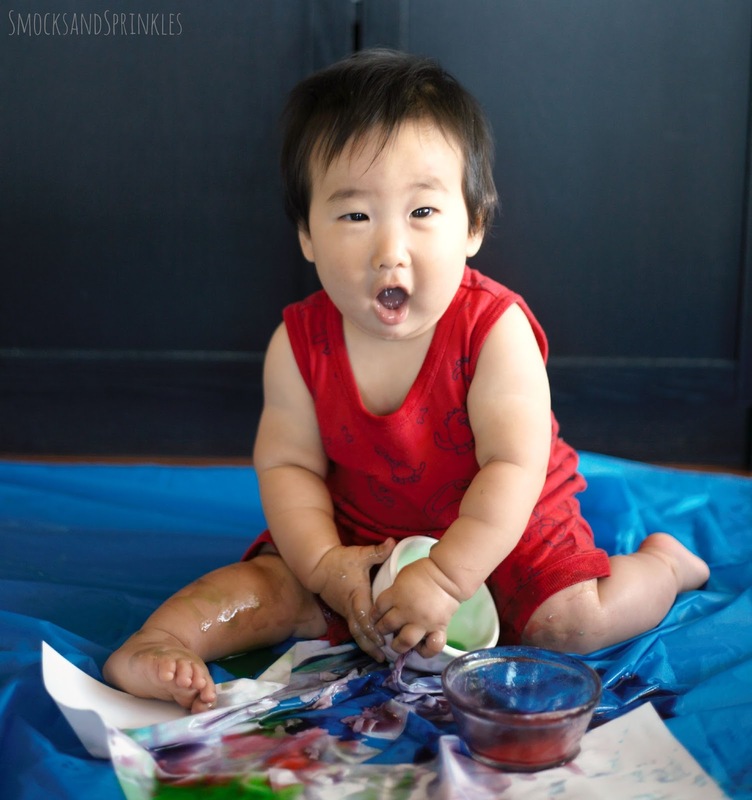 Let us know how your pudding paintings turn out! We're glad this info helped you. We're not sure exactly what you're asking for in terms of other info, but Pinterest is usually a great place for lots of resources!